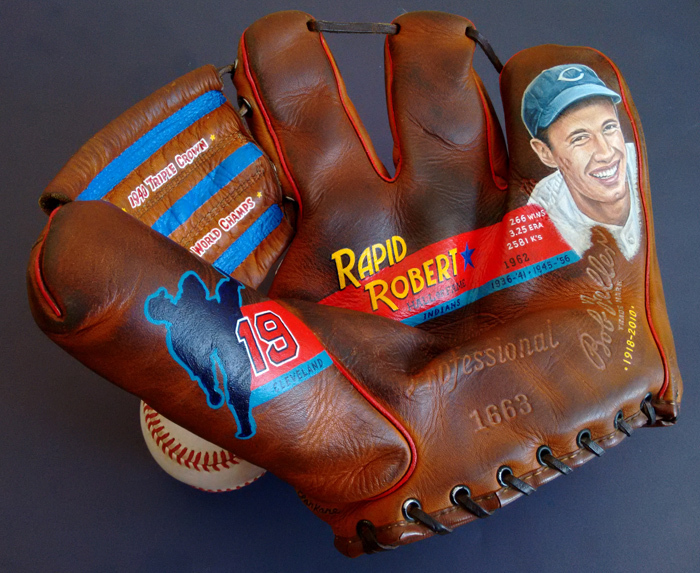 Bob Feller portrait and Hall of Fame career stats on a 1950s Bob Feller signature model glove. 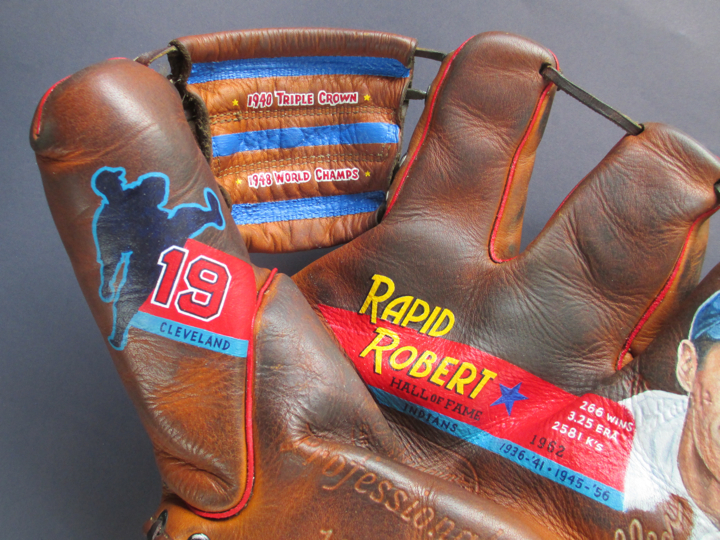 "Rapid Robert" milestones are detailed on the Higgins 3-finger glove, including his 266 wins, 3.25 career ERA and 2581 strike outs. The silhouette of Feller's iconic windup is depicted, referencing the Act of Valor award that has been created in his honor and his uniform number 19. 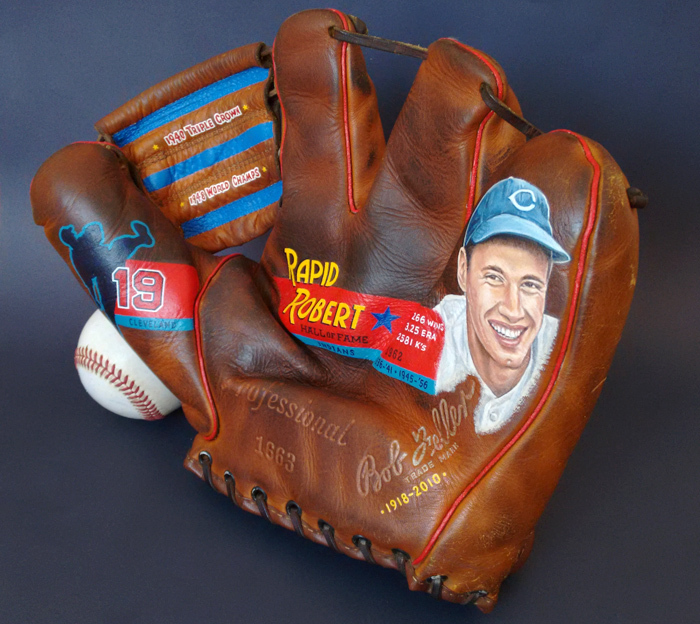 Feller missed nearly four full seasons of his career while serving in World War II, which is represented by the four stars in the glove's web. "The Heater from Van Meter" was a member of the Cleveland Indians 1948 World Series Championship team and won the pitching Triple Crown in 1940.